Leg-spinner Yuzvendra Chahal who plays for Virat Kohli led Royal Challengers Bangalore in IPL is allegedly dating an actress. According to media reports, the player of Team India soon to get married to this actress and according to the reports, the actress whom Chahal is dating is Kannada actress Tanishka Kapoor. Both have been spotted together on many occasions and their bonding can be seen in the social media. 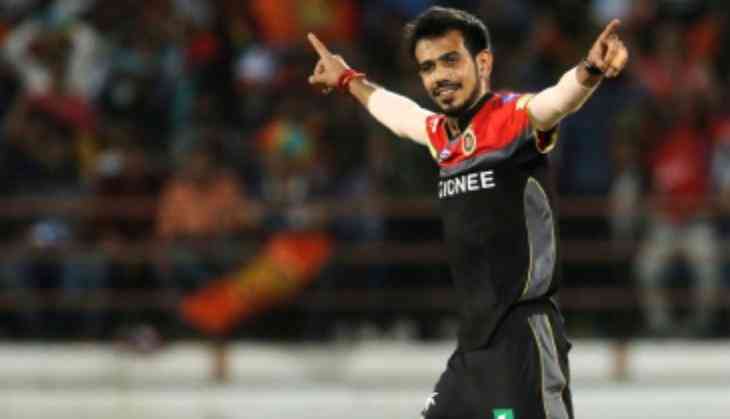 The media reports are also suggesting that Chahal can get married to Tanishka after completing this IPL as after that he will busy in Ireland and England tour for team India. Tanishka is quite popular on social media whether Chahal is already a star player of Team India. Now once again a couple has proved that cricket and Bollywood has an old connection and it will continue for a long. Earlier two players Virat Kohli, Yuvraj Singh and Zaheer Khan already have married to actresses Anushka Sharma, Hazel Keech, and Sagarika Ghatge respectively. Even Harbhajan Singh also got married to actress Geeta Basra. In the old generation then Nawab Pataudi got married to Sharmila Tagore, whether Azharuddin got married to actress Sangeeta Bijlani. However, on the other side, Chahal's team RCB is not doing good in the IPL and in his last 5 five matches, RCB won only 2 matches.